Carl Icahn has zero interest being the Treasury Secretary if Donald Trump were to become president. "There's no way I would ever do that," Icahn said Tuesday at the New York Times Deal Book Conference, reiterating comments he made in September. "I'm not ever going to be secretary of anything in Washington." Trump has repeatedly floated the idea and Icahn initially said no in June. Icahn then changed his stance and said okay after the Republican debate in August. "After last night's debate I decided to accept @realDonaldTrump offer for Secretary of Treasury," Icahn tweeted on August 7. Though he's now turning down the potential offer, Icahn still supports Trump becoming president, and he thinks Trump is serious about his campaign. Icahn also believes Trump is America's best chance at shaking up the gridlock in Washington. 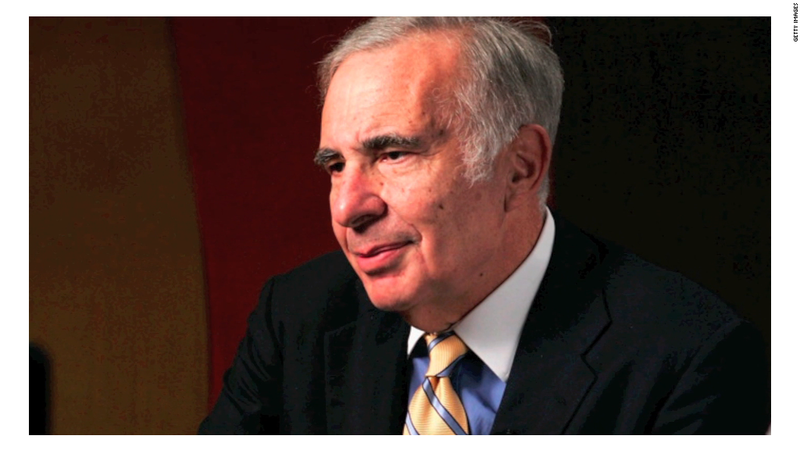 "At this point, I don't see who else who I would support," Icahn said. "I want someone who's going to shake up Washington...you need somebody like a Trump that can face up to [Congress] and get something done." Icahn is one of America's most famous activist investors. He's worth about $21.7 billion, according to Forbes. For decades, he has bought up large stakes in companies that look troubled. Icahn recently made news when he proposed in a letter to the CEO of AIG that the company should break up into 3 parts. He reiterated Tuesday that he thinks AIG (AIG)is "too big to succeed." Icahn revealed that he has a stake in the company but he didn't say how big it is. On Tuesday, Icahn acknowledged that he's going to meet Thursday with AIG CEO Peter Hancock. But on his turf. "You're going to see the CEO, I believe, on Thursday," asked the interviewer Andrew Ross Sorkin. "He's coming to see me," Icahn said, laughing.